If you’re looking for bargain white wine, head to Southwest France. Particularly, the Côtes de Gascgone region, the home turf of DdC. The winery makes a blend even LESS EXPENSIVE than the Gros Manseng (which is the grape, BTW). If you see CdG on a label, just buy that dang white wine. If you’re having trouble finding it, the importer is Weygandt-Metzler. So when you go to your local wine shop, let them know this is the company responsible for bringing this amazing bottle to our fair shores. I also wrote about the Gros Manseng back in 2010. A very short, to-the-point post. Also, if you missed the natty wine kerfuffle that recently set the insular indie wine world ablaze, read about it (along with my thoughts) in my newsletter. 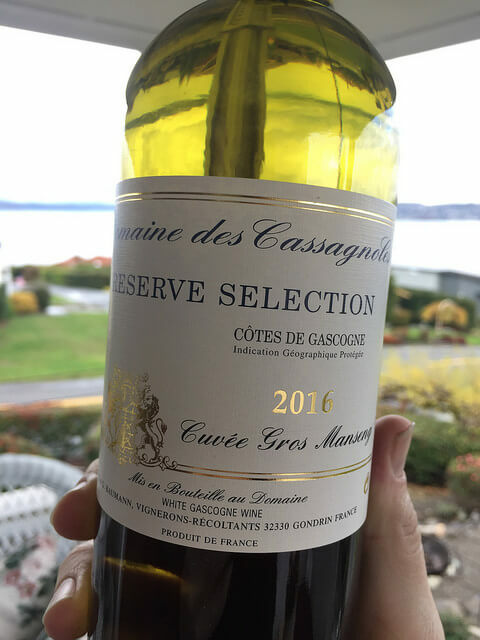 The post My Favorite Bargain White Wine in the History of the World appeared first on Jameson Fink. I was sent three sample bottles from Italian winery Scaia. The first thing I want to say about them, to put on my old retailer hat, is how much I appreciate they are “line-priced.” As in the bottles all cost the same, each with a $13 suggested retail price. That’s good, because these are the kind of wines you want to stack up next to each other. Or just put on your bedroom floor in front of your bike and admire them. Do you drink wine while preparing fresh #spring soup? Anyway, let’s get to the wines. Garga…what? Garganega is the main feature of Soave (one of my favorite Italian white wines) from the Veneto in northern Italy. Chardonnay, well you know what that is. It’s 45% of this blend. This unoaked wine would be a good bet for the Chard-phobic and the Garganega makes it interesting for those who think most unoaked Chardonnay is shrill and boring. (That would be me, BTW.) What can I say, I love my oak barrels. But this is a perfect summer white wine. Speaking of perfect summer wines…. I’m a sucker for weird grapes. I mean, unusual ones. Bring on the esoteric and unfamiliar. The Scaia rosato is made from Rondinella. Putting on my Troy McClure voice, you may know Rondinella from such red wines as Valpolicella and Amarone. Of course, someone put together all of these moments in chronological order. God bless the internet. This is a pale rosé with some intrigue. You can quaff it and think about it at the same time, which you can’t say for most rosés out there that slake thirst yet provoke no invigorating brain waves. 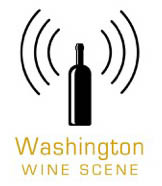 On the winery website, one of the suggested parings is toasted polenta with herrings. Nice to see someone giving some love to fish like herring. Did you know they are related to sardines? I did not know that. I also learned Neolithic-era Scandinavian burial grounds contain herring bones. So if a rosé can take you there, it’s definitely got something going on. Speaking of grapes that make up Valpolicella and Amarone, how about Corvina? It’s a bigger player in those two reds than Rondinella. Despite seeing no oak, its got some guts. I’d call it medium-bodied. Reading the tech sheet for the wine even made me look up “organoleptic” because Scaia explains each wine organoleptically. The word is defined as “being, affecting, or relating to qualities (such as taste, color, odor, and feel) of a substance that stimulate the sense organs.” Once again, Scaia is stimulating. So you’ve got three wines, all under $15 bucks, with cool glass closures and made with interesting grapes. What’s not to love? 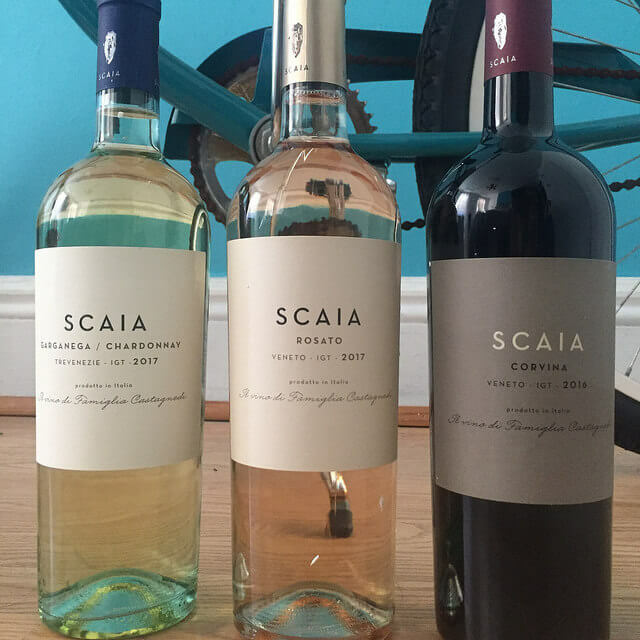 The post A Trio of Wines from Scaia Line Up Perfectly appeared first on Jameson Fink.